Tomorrow, MANY will be in Austin for a LIFE standoff and PRAISE GOD it will be well worth the trip. This will show Ms. Davis and other ignorant Liberal minded folks that supporting politicians supports men and women like Douglas Karpen that decapitate and ‘snip’ born children who had the audacity to survive an abortion. I WISH I could be there for the standoff of all time! See the video below to hear what Douglas Karpen’s staff said about his abortion ‘practice’. 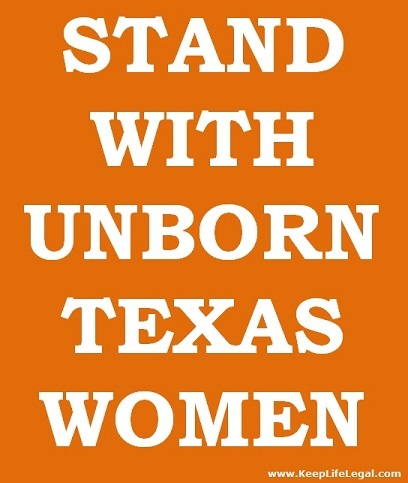 And then remember that Wendy Davis and her Democrat friends in the Texas Legislature condone born baby killing.